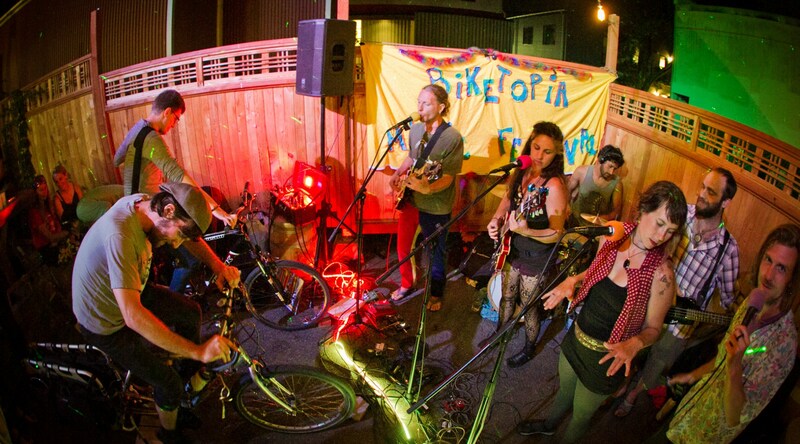 Bicicletas Por la Paz offers a hefty dose of Latin circus funk. They dynamically fuse together afro-Colombian rhythms with thick harmonies and modern psychedelic twist. Their live performance is highly theatrical, and explosive. With lyrics that display a message of peace, this band will not only make you dance, but also think.